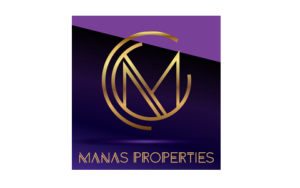 Manas Properties is primarily into the business of acquiring properties and leasing / letting it out to its clients thereby earning lease rentals / license fees as consideration, as well as earning price appreciation (as the case may be). Currently the company owns a property admeasuring approximately 3,078 square metres of built up area located at Plot No 16, Juhu Tara Road Santacruz (West), Mumbai -400049, which has been leased out to Junobo Hotels Private Limited, for operating “Soho House” , a private luxury club the lease rentals of which shall be received from financial year 2017-18. Further, Manas Properties also acts as a real estate marketing and consultancy company; wherein it support sales/ lease targets of builders/ developers in return for commission on a fixed/ percentage basis. Currently the real estate marketing and consultancy business is being carried out for a Group Company; Dev Land and Housing Private Limited and it has begun the process of entering into such agreements with other developers in order to expand customer base and available inventory portfolio for clients for providing these services. Manas Properties IPO allotment status will be available on Bigshare Services Private Limited website. Click on this link to get allotment status.